Honor [esteem, value as precious] your father and your mother [and be respectful to them]–this is the first commandment with a promise–. Greg and I met in the singles group at the Bible Church in 1985. We married in 1992 and have been members of the Bible Church for many years. Greg is from Pensacola, Florida and I am from Point Pleasant, West Virginia. My interest in hospitality began when I was in my 20’s. I was serving on the singles ministry team at my church and saw great examples of hospitality from the wife of my pastor and others on the committee. I learned that hospitality wasn’t necessarily fancy dishes or a “perfect meal,” but rather an atmosphere where guests felt at home and comfortable. It was about people and fellowship and showing them they were special. The most recent way Greg and I practice hospitality is through being caregivers for my mom, Ethel. In 2010, we invited Mom to come live with us in Durham. We made an apartment space upstairs in our house for her. She loves it. She feels safe knowing we are close by. Early on in caring for Mom, I realized that I could keep going at my same pace with the daily routines, or I could slow down so she and I could celebrate our time together. I am so glad for that decision. We are still celebrating! Over the eight years mom has been with Greg and me, she is still so appreciative of our care for her. Our roles have changed and we have had to be intentional about spending time together. Mom has always encouraged us to “get away without her.” Caregiving is a 24/7 awareness that we are always “on call.” Taking breaks from that is our way of staying healthy. Even through the trials and bumps in the road, the Lord reminds me that what we are doing is a blessed thing. A funny story that comes to mind is when Greg goes to a certain fast food restaurant and surprises Mom with an apple turnover. He takes it up to her living room and she makes her “happy sounds” and gives him kisses on his hand! Tina and Greg are doing a beautiful job of extending hospitality in their home to Ethel. 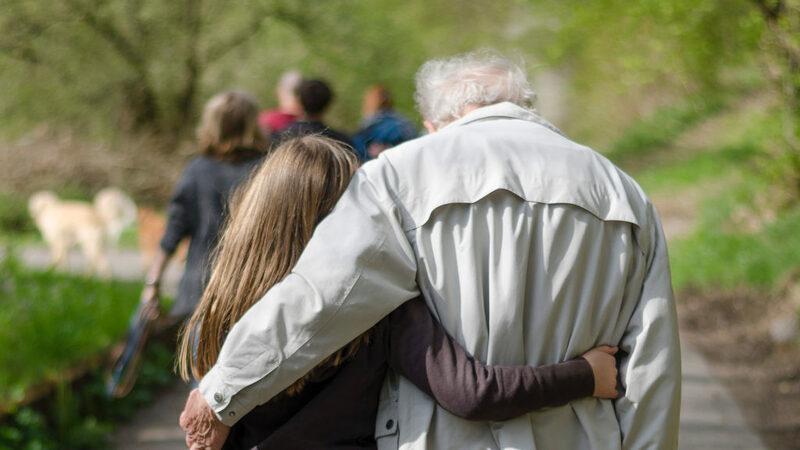 Many of us are extending care to our aging parents in a variety of ways. For some of us, this care may mean bringing our parents to this area so that we can better attend to their needs. Rick and Sonya Hove are caring for two aging dads – Rick’s here now in Durham and Sonya’s in Kansas. Carol Younkin is making frequent trips to Ohio to care for her 91 year-old mother. Carol’s mother was hospitalized earlier this week with a possible stroke, so she’s on the road yet again. Tom and Carol Boney lead Tom’s sibling team as they, for now, provide their mother the opportunity to remain in her own home in Graham, NC, doing all that they can to keep her safe and healthy. I know there are many more of you; I just don’t know your stories yet. I hope to hear from you. We must encourage one another, magnifying God together, as we honor and care for our parents. Caring for my mother from afar and the many trips to Ohio have moved me into a new phase of my life. Nine years ago I was in the same place with my dad who had Alzheimer’s. I count it a privilege and have had the opportunity to be asure that my mother knows the Lord. She and I have had many heart to heart talks about the end of life and her wishes; she has planned everything from her memorial service and her burial as well as her end of life wishes. All these things give me great comfort. I come from a family of six, but the care falls on me & my brother, for whom I am very grateful. I sometimes question why it is this way, but God has blessed me in so many ways with a beautiful relationship with Mum where we can pray and share our love of Jesus.